Until recently, corporations built offices, ran factories, and have traditionally been paper institutions. Today, the computer has changed the experience of incorporating. The virtual corporation model is lighter, easier, quicker, and smoother. It operates all night, in the present, without a glass and steel edifice to call home, in sync with its founders’ lifestyles. 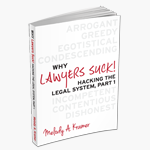 This unique book will introduce lawyers to this new area of law. 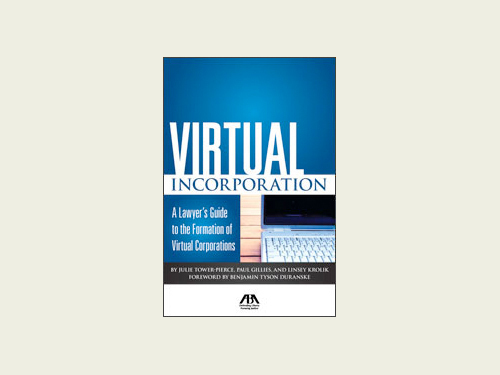 Examining the developments of the digital LLC/virtual incorporation laws of the state of Vermont, this fully-indexed book covers the nuts and bolts of virtual incorporation. The book examines virtual ethics and corporate responsibility in the digital era; post-incorporation issues; and business formation resources for lawyers and ‘virtual’ clients, including sample a client intake sheet, an incorporation checklist and sample operating agreement. Those who succeed are those who can adapt. This important book can get you up to speed on the virtual corporation. To purchase this product visit: the ABA webstore.